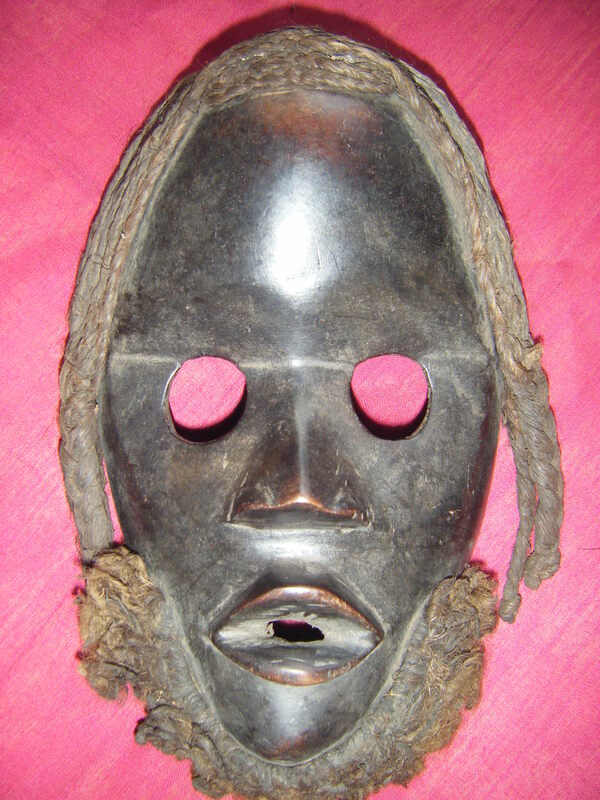 This mask is from the clan of DAN or YACOUBA. They live in the west part of Ivory Coast. Gunyeya Mask, also called Racing mask has a sharp face and particular rounded eyes. In the tradition, the person wearing the mask was followed by a runner who was not wearing any mask. If the runner without the mask could catch the one wearing the mask, he got to wear the mask and he needed to run too against another runner. In the past, these races aimed at training men for races and fights but nowadays they have become games only. ~ by myafrikart on April 18, 2008.